For those waiting to see the successor of Rovio’s immensely popular Angry Birds, that day is coming very soon. The company’s next major project is called ‘Amazing Alex’ and it’s based on the iOS game ‘Casey’s Contraptions’. According to Rovio CEO Mikael Hed, the game will feature educational elements and be focused on ‘Alex’ who is a young boy that enjoys building things. Being the successor to Angry Birds, the company has a lot of pressure on it to maintain the quality and engagement that it’s users have come to expect, especially since Angry Birds has experienced over 1 billion downloads. 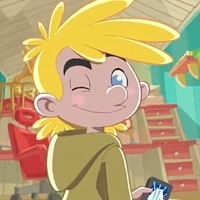 Rovio’s VP of Franchise Development, Ville Heijari, said that the “gameplay is a perfect fit in our arsenal with its approachable, fun and highly addictive take on the physics puzzler genre.” Based on that, ‘Amazing Alex’ is likely to impress but the expectations are still very high. ‘Amazing Alex’ has an expected release date sometime in the next two months.